Jean-Pascal Gond is the Director of the ETHOS Centre for Responsible Enterprise and a Professor of Corporate Social Responsibility at Cass Business School. His current research projects include the roles of standards and metrics in the institutionalisation of CSR in the financial marketplace and in corporations. His research in economic sociology is concerned with the influence of theory on managerial practice, the governance of self-regulation, and the interplay of society’s commodification and markets’ socialisation. Bobby Banerjee is Professor of management at Cass Business School. Bobby’s primary research interests are in the areas of sustainability, climate change, corporate social responsibility, global governance, and indigenous ecology. His current research focuses on CSR and governance in the extractive industries. Christopher is a PhD Fellow at Cass Business School. He holds an MSc in Management and Organisational Innovation from Queen Mary, University of London. His PhD and interest focuses on why and how public sector organisations decide to adopt corporate social responsibility practices and discourse within their business practices and analyses the main affects produced by the adoption of being more socially responsible in society. Christopher’s PhD interest also looks at how the London Metropolitan police service uses the concept of corporate social responsibility as a strategy to build/repair confidence, trust, legitimacy, and reputation with society and in particular young adults. Christopher has over 10 years’ work experience in the public/private sector and is currently working with Barking and Dagenham Metropolitan police confidence and youth engagement teams to device strategies to better engage with young adults from different ethnic backgrounds. Michael Etter is a Marie Curie Research Fellow at ETHOS. With an interdisciplinary background in communication and organisation studies, he is interested in aspects of corporate social responsibility in the digital economy. 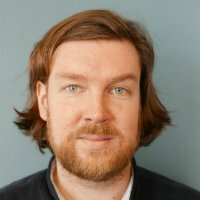 His research focuses on how organisations, new organisational forms, and emerging industries, such as sharing economy, are contested and maintain their reputation and legitimacy in a digital communication environment. Daniel Fisher is a PhD student in Management and a member of The Centre for Responsible Enterprise, ETHOS. He is studying the efficiency of private military and security firms (PMSC) in theatre with a particular emphasis on the regulatory models that hinder or encourage management practices across the industry. Daniel completed his undergraduate studies in Philosophy at the University of Wisconsin Milwaukee before moving to the UK to study for his MA in International Relations from Middlesex University. Between obtaining his BA and MA, Daniel taught critical thinking and problem solving at High Tech Institute in Milwaukee, Wisconsin. 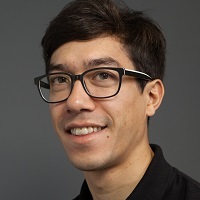 From 2009 to 2015 Daniel worked at the London School of Economics and Political Science as a Research Awards Manager, supporting academic staff with their research projects. In 2015, Daniel joined Cass Business School as a Research Support Manager, advising academic staff in procuring external research funding. Daniel has a passion for impactful research, inspiring his entry into academia. 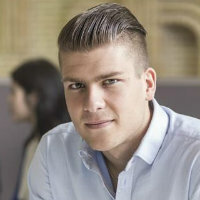 Mikael Homanen is a PhD Fellow in Finance at Cass Business School in London. He recently worked at the World Bank's Development Economics Research Group (DECRG) in Washington D.C. and was a visiting PhD at Singapore Management University (SMU). 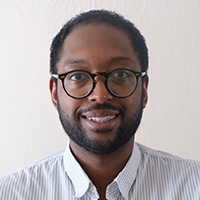 Mikael is currently working on banking and corporate ESG (Environmental, Social & Governance) policies as well as projects examining the effectiveness of investor engagement, which is funded by the UN Principles for Responsible Investment (UNPRI). Mikael has extensive research experience in areas including corporate governance, social banking, illicit financial flows and his recent research examines the effects of Ugandan firm access to bank credit on firm skilled labor demand. He completed his MPHil in Finance as well as BSc at Tilburg University in the Netherlands. 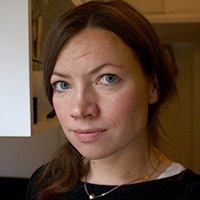 Johanna Järvelä is a PhD student at Cass Business School. She holds a Master's Degree in Development Studies from University of Helsinki and she is also a fellow at Centre for Corporate Responsibility (CCR) in Helsinki. 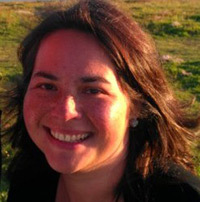 Her research is about natural resource governance and politics of responsibility in mining conflicts. She is especially interested in the role of state, politics, and regulation in corporate responsibility. Sara is a Doctoral Researcher at Cass Business School. She holds a Master’s degree in Culture, Creativity, and Entrepreneurship from the School of Performance and Cultural Industries at Leeds University. Her dissertation analyses how publishers attempt to extend Intellectual Property in the digital domain and the evolution of the discourse around Open Access in scholarly publishing. With this research, she aims to critically explore how, whilst some cultural organisations recreate artificial scarcity in the digital context, other organisations offer alternatives. In addition, Sara has an interest in gender studies, as a consequence of having reflected critically on these issues as an activist in feminist groups. Rob is Professor of Internal Auditing at Cass Business School. Before joining the business school in 1990, Rob Melville worked as a computer auditor and systems auditor in government, industry and financial services. Since then his research has addressed the control and audit of information systems, control self-assessment, the role of internal audit in strategic management (in particular through the use of the Balanced Scorecard), corporate governance, and corporate social responsibility. A Member (MIIA) and Fellow (CFIIA) of the Chartered Institute of Internal Auditors since 1984, he has been actively involved in educational, environmental and publication issues. 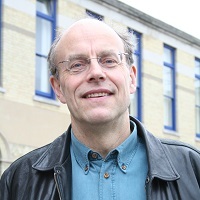 He is a qualified member of the British Computer Society (MBCS CITP), where he edited the journal of their information systems audit specialist group for five years and has been actively involved in international research projects and conferences. Sébastien is a Senior Lecturer in management at Cass Business School. 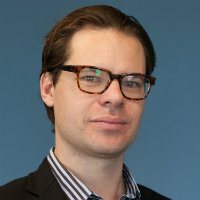 Prior to joining Cass, Sébastien was a post-doctoral fellow in strategic management and organisation at the Alberta School of Business, University of Alberta. He received his PhD in management from the Faculty of Business and Economics (HEC), University of Lausanne. His research interests lie in institutional change and stability in the interactions between business and society, related to topics such as corporate responsibility, corporate governance, and sustainability. His research on this topic has been published in outlets such as the Academy of Management Review, Business Ethics Quarterly, Human Relations, and the Journal of Management Studies. 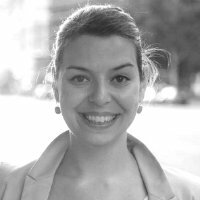 Szilvia is a Doctoral Researcher at Cass Business School. She holds a Master’s degree in Corporate Social Responsibility from Nottingham University Business School, and in Sociology from the Eotvos Lorand University of Science in Hungary. She has previously worked as a CSR consultant for Deloitte for 7 years in London, where she managed and delivered advisory and assurance engagements with leading multinational companies on a variety of subject areas. Szilvia’s research focuses on the CSR profession: key actors, their interactions, the emergence of the profession, and its institutionalisation. She is further interested in implications on knowledge dynamics and identity work. Her other research projects explore management consulting, responsible investment, and culture change in the financial sector. 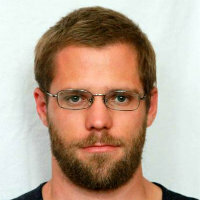 Marton is a postdoctoral Research Fellow with the Ethics, Sustainability, and Engagement unit at Cass. He received his PhD from the University of Leicester in 2017. His doctoral thesis explored the meanings and practices of criticality in a business school in the UK. 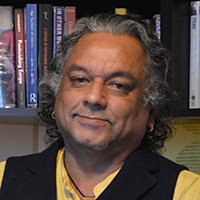 Building on this, his research currently focuses on the organisation of higher education; on innovative ways of educating management students for ethics, responsibility and reflexivity; and on the roles management academics’ organisational practices play in achieving this goal. 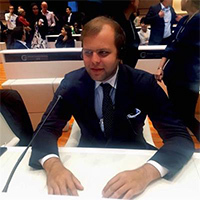 Mislav Radic is a PhD Fellow at Cass Business School. He holds and MA in Management from the University of Zagreb. His research interest lies around the process of privatisation and how it changes organisations from an identity, culture, and legitimation perspective. In his ongoing research he looks at how privatised organisations, which were previously viewed as public service providers, manage the tension between the need to preserve continuity with the past, and the need to implement change. Mislav is an active member of the World Economic Forum’s Global Shapers community, which is a network of city based hubs that undertake local projects to improve their communities. André Spicer is Professor of organisational behaviour and the founding director of ETHOS: The Centre for Responsible Enterprise at Cass. He is an expert in the areas of Organisational Behaviour, Leadership, and Corporate Social Responsibility. Prior to joining Cass, André was a Professor of Organisation Studies at the University of Warwick. He has also been a visiting Professor at the University of Innsbruck, University of Paris Dauphine, Lund University, the Central European University, University of St Gallen, Hanken School of Economics, and the University of Sydney. Professor Spicer was educated at the University of Otago and holds a PhD from the University of Melbourne. Professor Spicer has done work on organisational power and politics, organisational culture, employee identity, the creation of new organisational forms, space and architecture plays at work and leadership. His work looks at a wide range of settings including knowledge intensive firms, financial institutions, seaports, universities, libraries, media organisations, and new social movements. Alessandro is a PhD Fellow at Cass Business School. He holds an MSc in international management from HEC Lausanne, and a MA in international relations from the University of Bologna. His research interest lies on the political dimension of management studies. He focuses on the reproduction of neoliberalism within organisations and on the hegemony of economic rationality, touching both critical management studies and the latest debates in CSR. 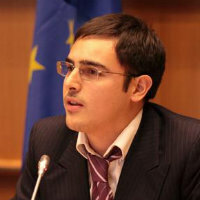 Prior to joining Cass, Alessandro has worked in a Brussels-based think tank, ThinkYoung, with whom he still collaborates. Jeroen is a senior Research Fellow at Cass Business School. 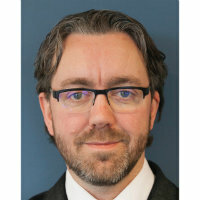 He has previously held appointments at Cardiff Business School, the Utrecht School of Governance, and a visiting professorship at UPMF, Grenoble. His research addresses the transdisciplinary construction of the public limited liability corporate form in relation to corporate governance. Most recently, he has been collaborating with Hugh Willmott, professor at Cass, in study of comparative models of corporate governance: The Modern Corporation. Hugh Willmott is a Professor of management and organisation studies at Cass Business School. He joined Cass Business School in 2014 having been a Research Professor in Organisation Studies at Cardiff Business School. 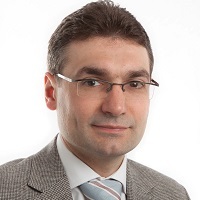 He has previously held professorial appointments at Cambridge (Judge Business School) and UMIST (now Manchester Business School) and visiting appointments at Copenhagen Business School, University of Sydney, and Uppsala University. 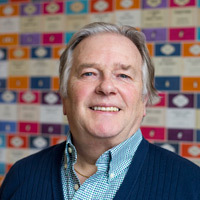 Hugh’s research interests span the sub-fields of management organisation studies. He is particularly interested in the development and application of management theory by drawing upon the resources of critical social science. Substantively, his research has contributed to the areas of professionalisation, teamwork, regulation, business ethics, management learning, accounting policy and practice, organisational culture, financialisation, and the management of higher education. Most recently, he has been collaborating with Jeroen Veldman, senior research fellow at Cass, in study of comparative models of corporate governance: The Modern Corporation. Annette was formerly a consultant at the OECD in Paris and later a Global Corporate Social Responsibility Manager at Aviva plc in London for 10 years. At Aviva, her responsibilities included coordinating subsidiaries’ CSR programmes, leading the scoping, design and delivery of Aviva’s global CSR audit programme; liaising with socially responsible investors, coordinating Aviva’s global completion of investor questionnaires e.g. FTSE4Good, DJSI; preparing Aviva Board CSR Committee papers. As a PhD Fellow at Cass, Annette’s primary research interests include CSR, responsible management education, and strategic management. She holds an MPhil from the University of Cambridge where she graduated with First Class Honours. ETHOS has many former members and visitors, who continue to collaborate with ETHOS after they have left. 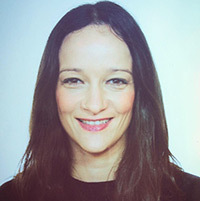 Lama is an alumna of the ETHOS Centre at Cass Business School. Her research is in the intersection of people, organisations, and society, and more specifically she is interested in institutional change, social innovation, and social economy. She is full time PHD Researcher at HEC Liège and her thesis looks at the legitimation process of non-profit organisations, in which she investigates the micro trends adopted over time by the non-profit organisations to legitimate radical changes. Lama also has eight years of professional experience in managing and leading multiple educational programs in Birzeit University in Palestine, and has progressive advancement in designing projects in continuous education, capacity building, and organisational development. 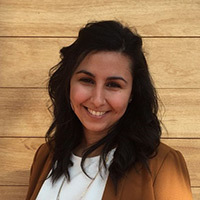 Wafa is an alumna of the ETHOS Centre at Cass Business School and Lecturer in Accounting at University of Birmingham. She received her PhD from University Paris Dauphine in 2016. Her PhD analyses the formalisation process of ethical tools within multinational corporations. Her research focuses on accounting and management control systems regarding CSR and ethical issues. She is in general interested in the regulation of what is not measurable. 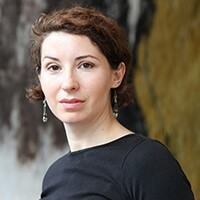 Ioana is an alumna of the ETHOS Centre at Cass Business School. She is a Lecturer in Management Control at Queen Mary School of Business and Management and a Research Visiting Scholar at ESSEC Business School Paris. 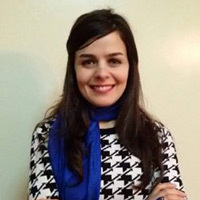 Ioana was a Marie Curie Senior Research Fellow at Cass Business School, working on EU funded project "Professional Identity Construction and Parenthood in Professional Service Firms”. Her work received commendations such as: Faculty Transnational Research Best Conference Paper Award, Best Conference Paper Based on a Dissertation Award, and Best Paper by a Transnational Student Award (Academy of Management, 2012, 2013). Ioana’s papers are published in Human relation, Critical Perspectives on Accounting and Accounting, Auditing and Accountability Journal. Currently, Ioana is working on projects exploring timeflow and temporal experiences as well as work compulsion in knowledge firms. 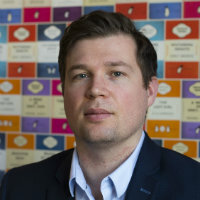 Simon Parker is an alumnus of the ETHOS Centre at Cass Business School and an Assistant Professor at Nottingham University Business School. He received his PhD from Warwick Business School in 2015. His research focuses on sustainability, corporate social responsibility, and alternative organisations. In so doing, he explores the tensions involved for individuals working with sustainability, emerging issues concerning organisational identity and the temporality of sustainability, as well as, the problems of critiquing a "good" organisation. Simon is also interested in responsible management education, social mobility, social studies of finance, regulation, and accreditation. 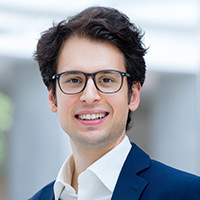 Emilio is an alumnus of the ETHOS Centre at Cass Business School and currently a visiting scholar at the Saïd Business School, University of Oxford. He received his PhD from the University of Zurich in 2015 and was a visiting scholar at Cass Business School from March 2015 to October 2016. 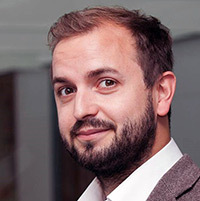 Emilio is an organisation theorist with a key interest in corporate social responsibility (CSR), particularly in the context of financial markets. Currently, Emilio is mainly working on socially responsible investing.